JONES, D.G. (editor). 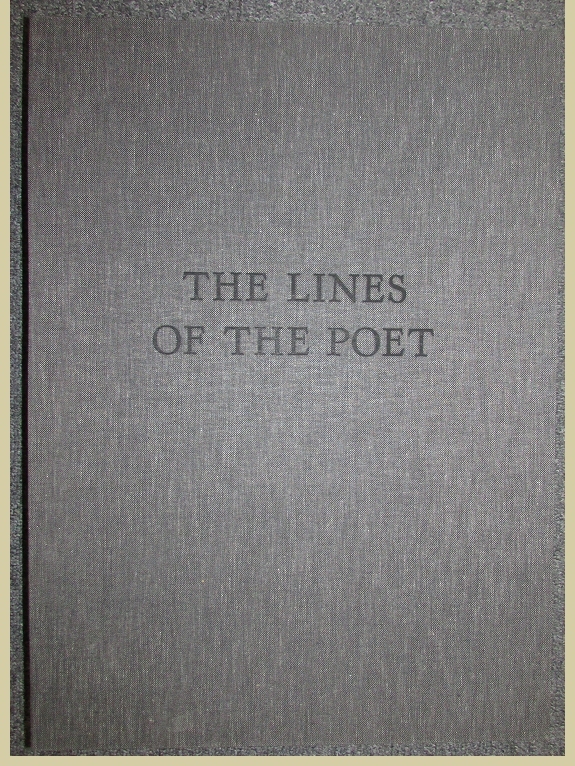 Lines of the Poet. Edited by D.G. Jones. 13 Poems. 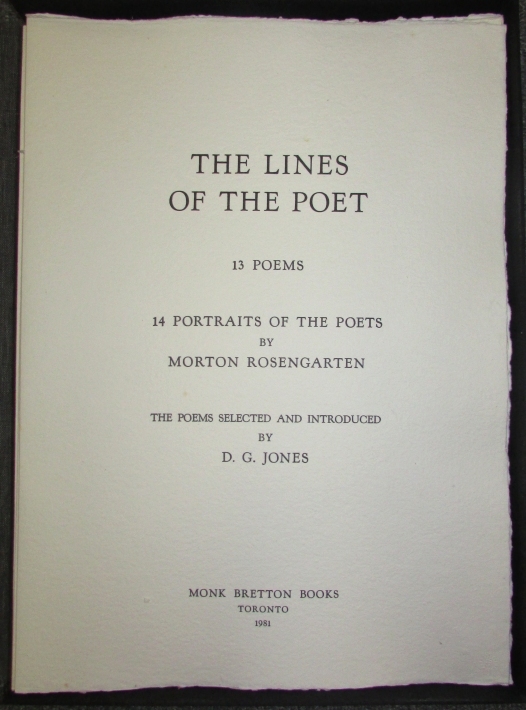 14 Portraits of the Poets by Rosengarten. Toronto & London: Monk Bretton Books, 1981. Of a total edition of 130 copies this is one of 100 for sale. (The remainder were for the use of the artist and the authors.) 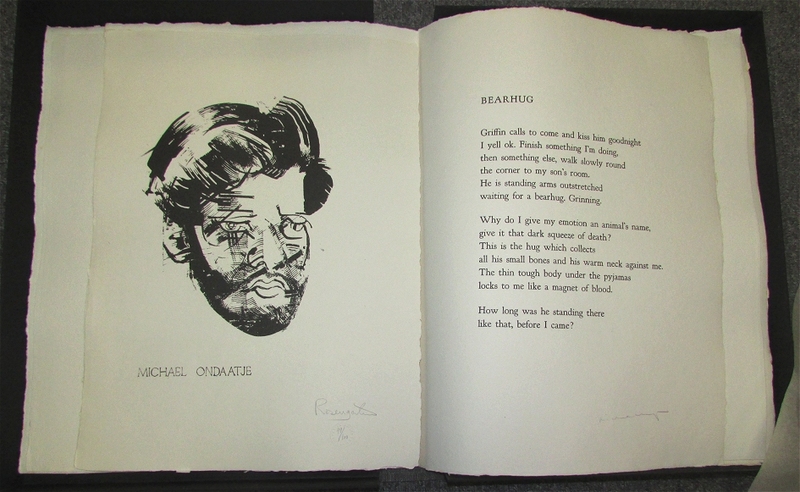 Folio; 16 loose sheets folded to and inserted are the original lithographs which are signed and numbered by the and also signed by each poet, except A.J.M. Smith, who died before publication. The whole is contained in a buckram folding box with label. All the original lithograph plates were destroyed after printing. 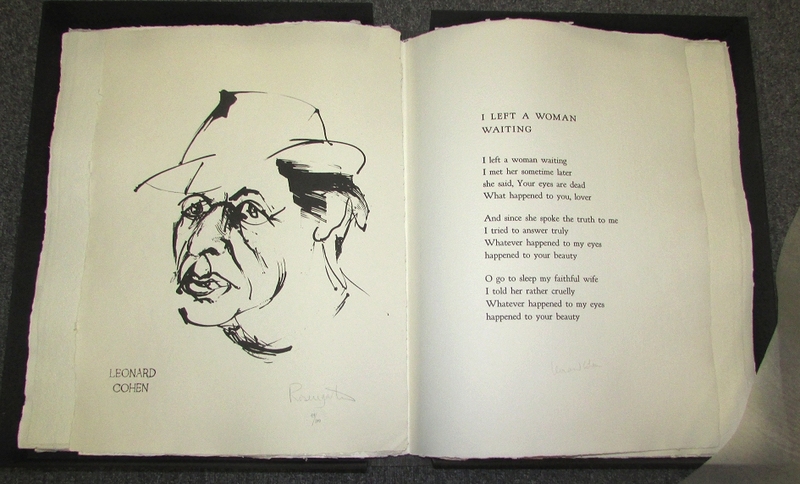 Poets included are: Margaret Atwood, Earle Birney, Leonard Cohen, Ralph Gustafson, Irving Layton, John Newlove, Alden Nowlan, Michael Ondaatje, P.K. Page, Al Purdy, F.R. Scott, A.J.M. Smith, and Phyllis Webb. Published in 1981 at $3,000.00 Canadian. Fine.